…but I take photos sometimes, mainly with my phone. 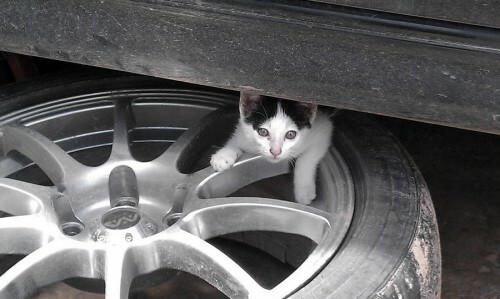 I found this little guy hiding under my car when it was on jack stands (replacing wheel bearings). Luckily, he belonged to the mechanic so I didn’t have to deal with abandoned animal issues.